The high content of rare materials within electrical and electronic devices demonstrates a rising problem of resource scarcity and geopolitics. Consumption of electronics is on a high, and is set to grow exponentially as more consumers join the ranks of the middle class. In 2007 the combined sales of mobile phones and personal computers represented 3% of global supply of silver and gold, 13% of palladium and 15% of copper. A PwC report highlighted the growing demand and consumption of these materials as one of the most important drivers for resource scarcity. The same report by PwC highlighted the importance of minerals and metals scarcity as a top priority for 78% of business executives from the high-tech industry. Geopolitics also plays an important role, as the risk is that resource nationalism becomes self-fueling, and that concerns about the security of supply translate into increased protectionism, less integrated resource markets, and therefore increased uncertainty over price volatility and supply. 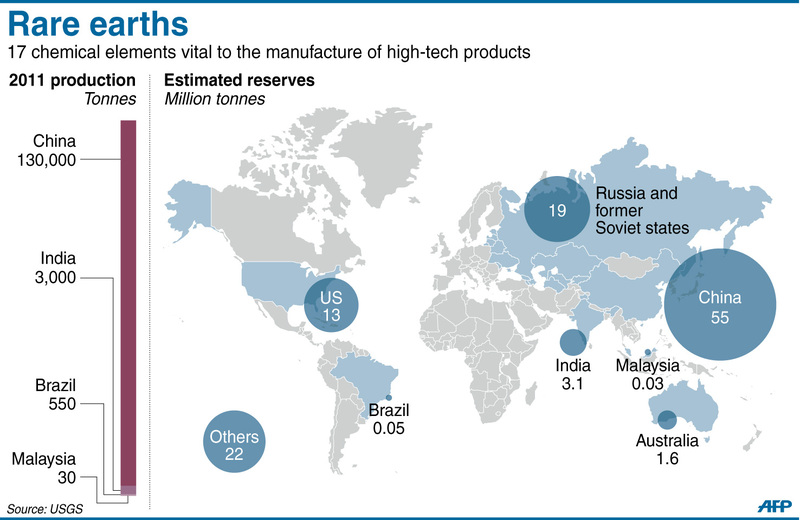 China is largely responsible for mining the 17 rare earth metals used to fuel our digital economy. Since announcing that it would export less of these, this has raised many European eyebrows and shifted glances towards Greenland. Unfortunately for the EU, it is completely dependent on imports for 14 out of 17 minerals known as “rare earths”. With thawing of Greenland ice famously underway, European politicians are keen on getting ahead of Chinese competition. Mining has harmful social and environmental consequences if not appropriately regulated. Unfortunately for Greenland, the policies and the regulation framework are largely not in place or appropriately developed yet. Greenland currently lacks the ability to control the behaviour of mining companies, if several were to being operating soon. As a quick reminder, there is more gold in a tonne of discarded mobile phones than a tonne of gold mine ore. Mining new materials is a strategy, but it’s an archaic strategy. A more long-term approach to resource security might be to close the loop on materials flow and change our unsustainable patterns of production and consumption. For instance, is it sustainable to own 2 mobile phones and replace them every 2 years, whilst not disposing of them correctly? Regarding electronics, this means getting consumers to dig out the mobile phones they’ve left to dust in drawers and return it to producers, to extract the copper, palladium, gold and other rare earth metals. The EU has already legislated as the Extended Producer Responsiblity under the European WEEE Directive. Excitingly, Brazil introduced its first national law on solid waste that obliges reverse supply chains to be created for electronics. What’s interesting, unlike the EU where the onus is on the producer to bring the product back to the manufacturer, in Brazil everyone is responsible: the consumer, the retailer, the distributor and the producer. This shared responsibility is set to mobilise hundreds of electronics back to the original manufacturer, where it will be recycled and disposed of correctly. However, this is for future production. Last year 1.6 billion new phones were introduced into the global market. What’s more, 40 million tonnes of e-waste was produced, of which merely 20% was recycled properly. Huge amounts of e-waste already exist and many electronics have not yet entered the waste stream. There is huge potential to close the loop on electronics and make materials savings. Keeping copper in circulation is a lot more valuable than sending it to landfill after it was used for 2 years in a mobile phone or as copper wire for electronics. We should adjust how we value landfills and recognise that one day landfills will become a source for materials. Unfortunately, for now it seems that we prefer to mine unexplored areas before tackling the underlying root causes: our unsustainable patterns of production and consumption.